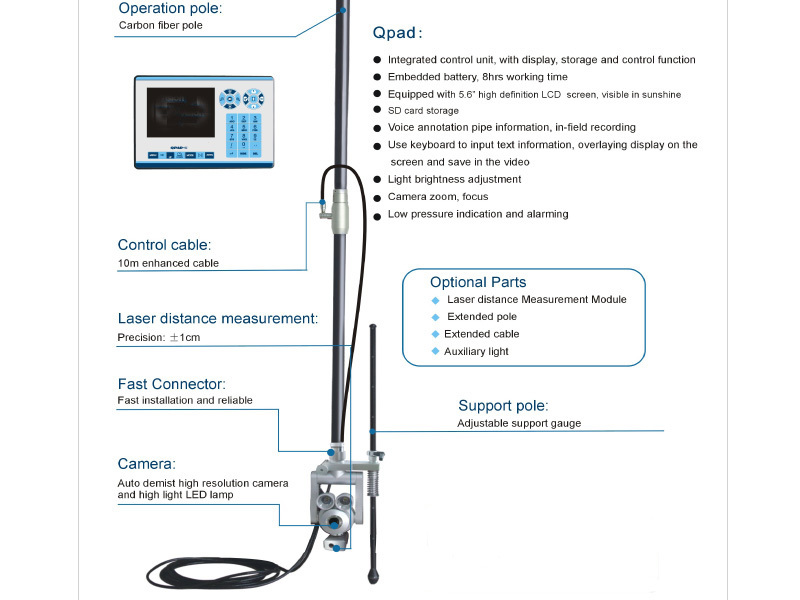 QPAD-E Pole Zoom Camera with zoom feature is an affordable version of our system but still featuring all the outstanding characteristics of this rugged and reliable camera ideal for a wide range of vertical structure inspections. 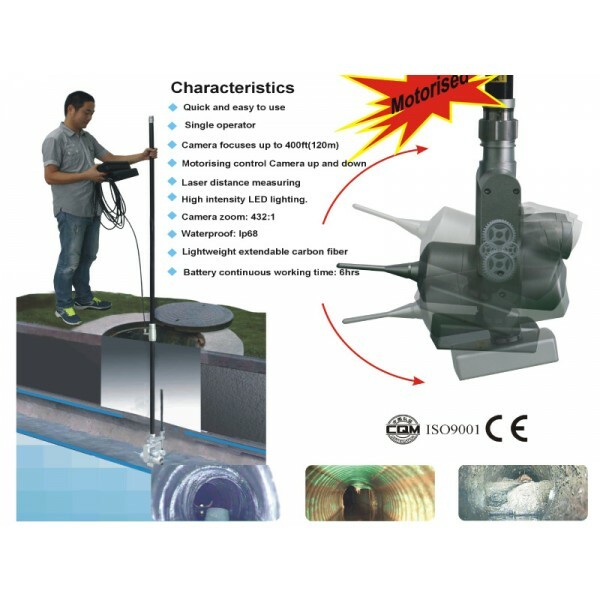 Equipped with patented LED light technology that provides superb illumination regardless of the lighting conditions and a CCD camera sensor, this camera greatly increases the detection distance up to 120m and allows for capturing clear and bright images of very remote objects and areas. Operators can tilt the camera up and down and use powerful 432:1(36:1 optical, 12:1 digital) zoom to examine the area of interest in great detail and capture every little defect or obstruction. 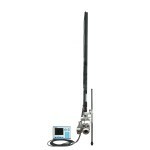 The inspection pole camera is equipped with a 5.6’’ TFT color monitor and a DVR that allows to record inspections as still images in MPEG format or videos in AVI format that can then be saved to an SD memory card. 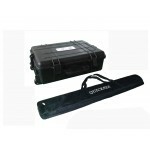 The equipment is packed in a portable, rugged storage case. 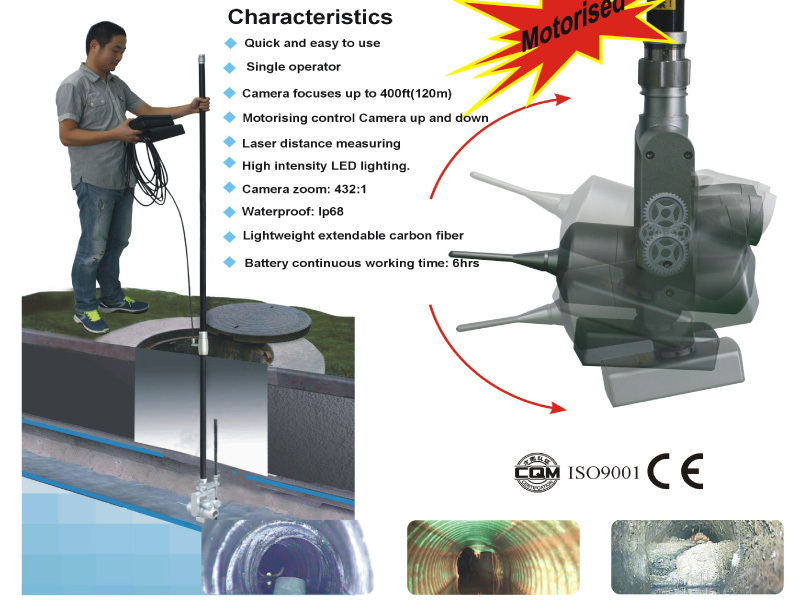 This camera can be used in wet conditions, as it is waterproof and tightly sealed against water intrusion. 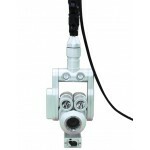 It comes with 2 standard super adjustable lights, yet durable, telescopic carbon pole but is available with pole up to 6 m long. 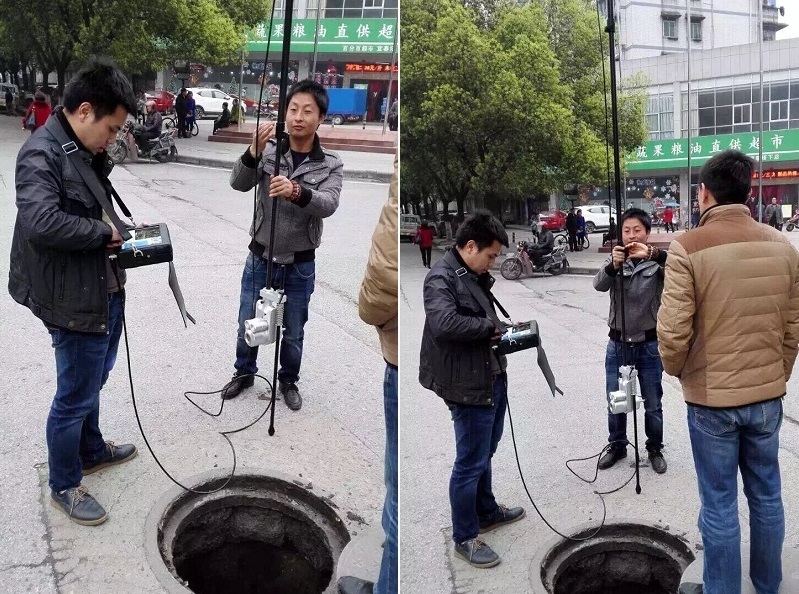 The camera head is connected to an adjustable mount that you can press against the ground to avoid image fluctuating. 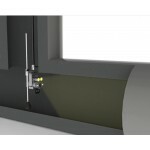 The system runs on a rechargeable battery, allowing for up to 4.5 hours of uninterrupted inspections at full intensity. 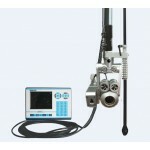 The pole zoom camera is ideal for quick, well-rounded inspections of various vertical (up and down) assets, e.g. ceilings, silo towers, stormwater culverts, mainlines, etc. 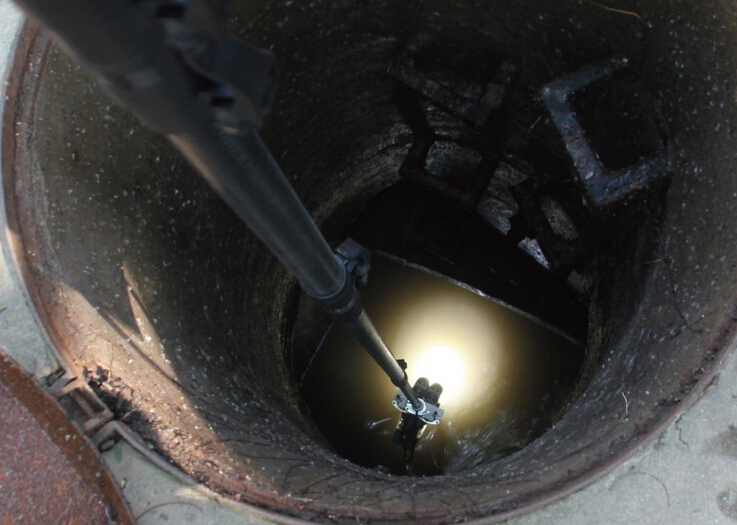 where the use of complicated heavy-duty equipment would be excessive or unnecessary. 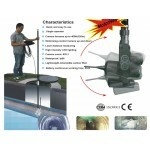 3) 1.2m * 5 telescopic pole. Modular design, can expand the functions through add the corresponding module, such as laser ranging modular, wireless image transmission module, video glasses, assit light source.